Indian Ordnance Factory (IOF) Medak, Yeddumailaram has published a notification regarding Engagement of Engineering, Graduate/ Technician (Diploma) Apprentices. Candidates who are interested they can attend walk-in-interview on 25/07/2017. 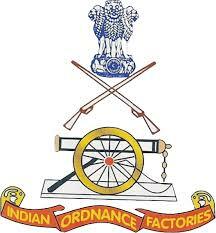 The total Vacancies are 100 only at Ordnance Factory Medak, Yeddumailaram, Telangana. Candidates who are planning to attend Walk-in Interview they must have SSC Certificate, Provisional Engineering/ Diploma Certificate, Caste Certificate, Aadhar Card and 3 PP size photos. For more details like Interview date, selection list, stipend and eligibility criteria are given below. Educational Eligibility: For Graduate category must have passed Engineering Course and for Technician, Category Must have passed Diploma Course from recognized Board/ University.